There are many people in the world who do uses Digital signature for their transaction or for digitally signing any document or contract. It is the safest and the easiest way of signing a document. Many people think it as a scanned copy of a traditional signature that we do on paper. But it is lot more different than that. A Digital signature is an electronic form of signature that is used to authenticate a document, software, message or any file. It is a mathematical code that validates your identity to the public. It also lowers the chances of tampering and impersonation that is done in digital communication. Click here giachukyso.net to view the source of the article. Digital Signature works on cryptography. In this cryptography, two keys are generated which are public key and private key. The digital signatures are created using one way hash of the electronic data that is to be signed. Hash is being encrypted using the private key. This hash has all the information that is needed for the authentication of your signature. 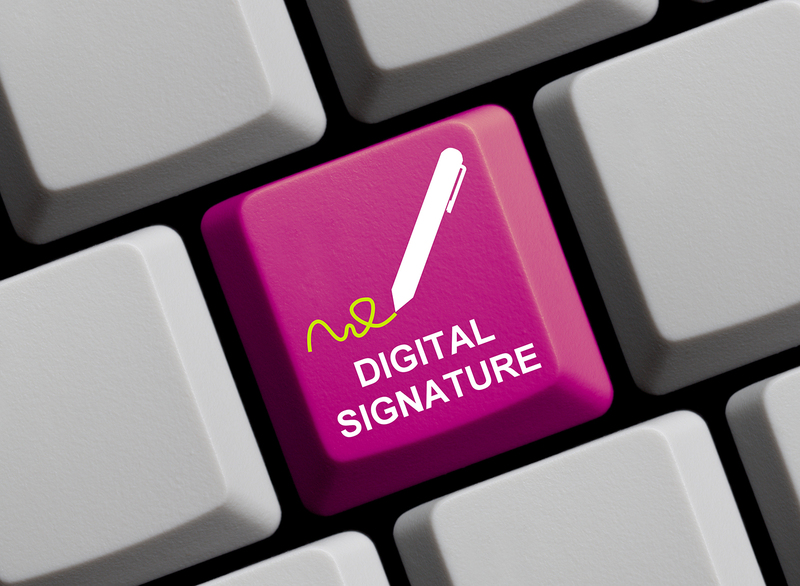 There are many reasons of using digital signature. Some of those reasons are highlighted below. Authentication: Digital signatures are primarily used for authentication purpose only. They can be used at any place where there is security needed. You can use these signatures for making transactions from your bank account, for authenticating any document regarding your business. Universal Acceptance: These digital signatures are accepted in all parts of the world. Many international companies do uses these signatures for doing overseas transaction and business. You can authenticate any of your business document from anywhere in the world. Instant access: These signatures can be approved instantly and all your business deals are signed in just few seconds. Verifying a traditional paper signature takes a lot of time, whereas these signatures are verified instantly.